Note: This “think piece” is part of a series of articles that are designed to stimulate your thinking about strategic recruiting. Corporate recruiting can’t be completely successful in ending the talent shortage while it remains part of HR. If the recruiting function were to be made an independent business function, after being freed from the conservatism of the rest of HR its results could improve by as much as 25 percent. The two functions have slowly become incompatible. Unlike HR’s focus on compliance, effective recruiting produces immediate and measurable business impacts. In addition, the cultures of the two functions couldn’t be more different when it comes to their level of aggressiveness, risk-taking, and competitiveness. As a standalone streamlined function, recruiting will transition from an overhead role into a business function with more direct accountability. And, with its higher strategic mission, its primary goal will move beyond simply filling positions. Instead, it will serve a business purpose by hiring exceptional performers who will immediately boost the business results of the teams that they join. Its independence will enhance its chances of success because it will be able to build a strong culture with a singular focus and no HR distractions. It will be able to build a shared mindset where everyone shares common goals and skill sets, which will enable the function to maintain a competitive advantage. And because jobs and business unit will be prioritized, the highest-impact needs will be filled first, accelerating a firm’s product time to market. Recruiting has of course been an integral part of HR for decades, but that integration was primarily because HR handled the administrative part of the hiring transaction that was owned by line managers. Today, when you compare the two functions (forgive me for making some generalizations here), the differences in goals, strategies, and approaches are stark. So, here are the top 12 reasons why the recruiting function should be made independent from HR, with the most impactful justifications listed first. The risk-taking that is required for recruiting innovation is restricted under HR’s risk avoidance cultural — perhaps the greatest differentiator between the two functions is that HR emphasizes risk avoidance. In order to stay ahead in a highly competitive and rapidly changing world, continuous recruiting innovation is essential. Increasing innovation in recruiting involves accepting a much higher degree of risk. Under an independent recruiting function, recruiting leaders would be able to hire and develop recruiters who were more willing to take the required calculated risks. The required speed is hard to maintain under HR’s deliberate pace approach — moving fast is essential in recruiting. However, because most HR work is not time sensitive, its culture and processes currently emphasize slow and deliberate work. Striving to land candidates in high demand requires speed and responsiveness. As an independent function, recruiting could more freely reengineer and streamline its currently disjointed processes. It could change its goals, metrics, and rewards to make speed a dominant part of the new recruiting culture. The required prioritization is difficult under HR’s equal treatment philosophy — Within corporate HR there is tremendous pressure to treat everyone equally. This sometimes subtle pressure restricts the ability of the recruiting function to prioritize and to treat high-priority jobs and candidates differently. With independence, it could gain the unrestricted freedom to prioritize so that the new recruiting function could focus its resources on hiring candidates with the highest-impact skills (e., innovators) and those with the highest business impacts (i.e., salespeople, AI, and cybersecurity experts). Though HR commonly emphasizes one-size-fits-all processes for efficiency purposes, an independent recruiting function could develop customized processes for recruiting each of the highest-priority categories of hires (e.g., executives, innovators, technologists, and high-demand college students). And when appropriate, recruiting could even outsource the hiring for low-impact jobs. Building a competitive advantage is difficult under HR’s internal focus — As an overhead function, HR often has an internal focus on its own processes. Recruiting operates in an external environment where winners and losers are literally determined each day. It should consciously have more of an external focus on building a competitive advantage in tools, processes, and strategy. With independence, there could be a markedly increased focus on conducting competitive analysis; specifically, on what your talent competitors are doing and planning, and what your firm must do in order to counter their recruiting actions. This expanded external focus would also likely lead to a dramatic improvement in business intelligence gathering, and these results could help both recruiting and the business. Aggressive boasting is difficult under HR’s culture — the conservative HR culture often resists bragging and boasting. However, recruiting operates in an increasingly aggressive world of employer branding. An independent recruiting function would be freed from these constraints and could shift to a significantly more aggressive recruitment marketing and employer brand building approach. Because much of recruiting is a version of marketing, sales, and branding, independent recruiting would be much freer to aggressively spread positive messages and to counter negative social media reviews. And without an overemphasis on compliance, recruiters would be freer to create more powerful and better attracting job postings and job descriptions. Recruiting’s required proactive approach is difficult under HR’s reactive culture — because most of HR focuses on day-to-day problems, its culture and processes are designed primarily to react to events. An independent recruiting function could become more proactive and forward-looking. Recruiting could move from just filling openings to proactively identify talent opportunities using the broader Talent Advisor model. The required data-driven model is resisted by those who rely primarily on an intuitive approach — Unfortunately, a great deal of HR decision-making is based on continuing past practices and making intuitive decisions. Freedom from this approach would allow recruiting to become more digital, and data focused. This data-driven scientific approach would lead to the use of more predictive hiring criteria, more effective assessment approaches, and more data-driven candidate selling approaches. The shift is necessary because intuitive decision-makers are seldom very tolerant of data-driven decision-makers because they often consider data to be dehumanizing. Increasing and reporting recruiting’s business impacts is difficult under HR’s exclusive use of transactional metrics — HR relies almost exclusively on backward-looking transactional metrics that merely provide a snapshot of what happened last year. The best way to get executive support is to move away from transactional metrics and toward reporting metrics that cover business impacts. Being separated from HR would allow recruiting to develop leaders who understand the importance of demonstrating immediate business impacts. 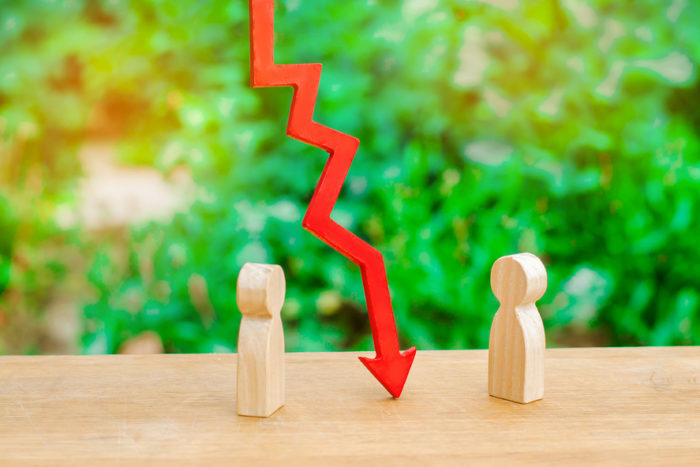 The increased spotlight created by the separation might also force recruiting leaders to measure its quality of hire finally. Most importantly, with the help of the CFO, independent recruiting leaders could learn how to quantify recruiting’s business impacts in dollars (e.g., each new sales hire sold $115,000 more in their first year). With a focus on reporting revenue impact, recruiting would garner much more financial, executive, and hiring-manager support. And as a final element of its business impacts approach, an independent recruiting function would emphasize the ROI of great hires in key positions, rather than the costs of hiring (which are insignificant compared to the business impacts). Modern recruiting requires an agile approach, which is difficult when consistency is the goal — Its focus on consistency allows HR to be cost effective. However, recruiting operates in a constantly changing VUCA environment. Changes in the economy, firm growth rates, unemployment rates, retention rates, and talent supply require a continuous shift in recruiting strategies and tools. Being independent would allow the recruiting function to increase its emphasis on adaptability, scalability, and having agile processes. The required new recruiting skill sets are significantly different from the traditional HR skill sets — In many cases, the skill sets that make a successful HR professional (i.e., record keeping, efficiency, and administration) are completely different from the skills required to create business impacts. Fortunately, an independent recruiting function would be able to require that all its TA new hires had strong business acumen as well as strong data and technology capabilities. And because the word will spread throughout the industry about the attractiveness of this independent function, the firm’s TA leaders will be able to recruit the very best TA professionals because they know there is strong executive support for the function. Recruiting’s technology-dominated approach will be resisted by HR traditionalists — almost everyone agrees that technology advances in recruiting are developing at a much faster pace than the rest of HR. As a result, independence would allow recruiting to focus on the rapid adoption of new technologies in multiple areas including digitalization, chatbots, online interview scheduling, virtual-reality assessments, remote video interviews, and machine learning to improve all recruiting decision-making. Resistance to technology will not be tolerated in an independent recruiting function. Making recruiting independent will remind everyone of its great value — The business impacts of the various HR functions vary significantly. Fortunately, data published by BCG revealed that recruiting has the highest revenue and profit impacts of all HR functions. This high impact alone makes recruiting worthy of the special focus that independence brings. The decision to make recruiting independent may by itself reinforce the importance of recruiting to everyone in the organization. Effectively communicating that impact may have the unexpected consequence of convincing hiring managers to devote more time to recruiting. When they are reviewed, most agree that the pros for an independent recruiting function far outweigh the cons. But even with these many advantages, most of the historical attempts to make this split have been problematic. In fact, the idea was quickly rejected years ago when I was chief talent officer at Agilent Technologies. The most prominent resistance factor that I have uncovered is internal politics. I have all too often found that those with a long tenure in HR are consistently resistant to change, but they are particularly resistant to any change within HR. Expect open political infighting and even sabotage on the part of the old guard in HR. The next common problem that should be anticipated is that those currently working in recruiting won’t have the required skill sets or even an interest in making the transition to the new independent model. Transfer these individuals into HR. Replace them with more aggressive, data-driven, and business-oriented external recruits. The third significant issue is likely to be the difficulty in increasing the level of collaboration and process alignment, especially between the new standalone recruiting function and the interdependent functions of compensation, relocation, onboarding, initial training, and workforce planning that are to remain part of HR. Also, expect the reporting relationship of the new function to be an issue (the optimal approach is reporting directly to the COO or the CEO). Finally, as an independent function, recruiting will have less influence on ensuring that the HR function measures and rewards individual managers for great hiring. Before you tackle the many separation challenges and to make a successful argument to corporate and HR executives, you will need a strong business case. The dramatic decrease in time to fill and the measurable increase in the performance of new hires should be the foundation for that business case. Unfortunately, there aren’t many long-lived examples of an operational independent recruiting function to point at. Yet, you can turn that around and make it a strong selling point because being the first in your industry to separate recruiting will provide your firm with a distinct competitive advantage in the continuing global war for talent.